So this week has been a bit of a wash in terms of my Purge and Clean. I may get out there today to accomplish something, but I have a podcast to produce that’s supposed to be out Saturday and I’ve not begun editing, so I may end up just using the rest of this week for catchup. I did do the shed on Sunday. Got a LOT purged from there and dragged to the curb for “Big Pickup”, since I knew we’d be gone all day Monday (homeschool group trip to Monterey Bay Aquarium planned months ago. Free tickets!) and the pickup was Tuesday, so I had to get all the stuff I could to the curb over the weekend. Which is when it was over 100. 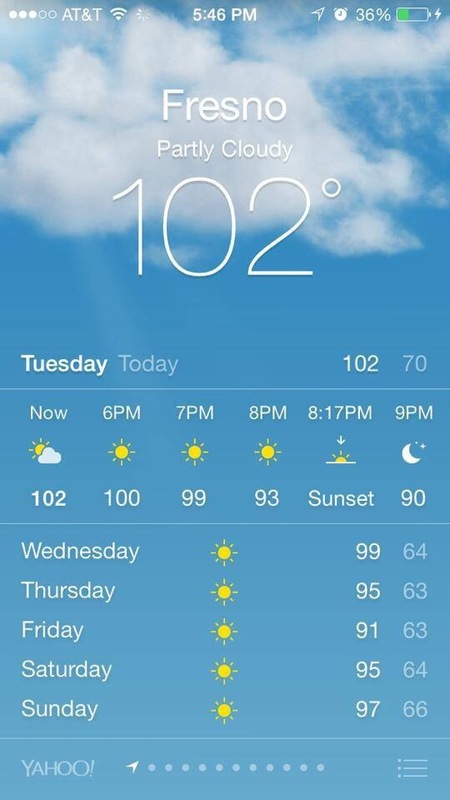 Typical Fresno summer, which is why I typically don’t leave the house much from June to September. Anyway, so the weekend was all Big Pickup work, Monday was Monterey, Tuesday I recooped from the previous long days (and just couldn’t bring myself to work in the yard as it was 102), yesterday we had a swim play date with friends I couldn’t let my kids miss out on…and that brings us to today. Weather isn’t too bad currently at 10am, windows open, cool breeze currently blowing in, room temp on my clock says 80. But the thing about today is that I have an important interview that I said would be up on our site this Saturday and with everything else I’ve been doing, including a LOT of client work, I’ve yet to even crack open that file to get started on the editing! And it’s a LONG interview! Plus I need to still record Beckie and my intro and outro parts, and that will take a few more hours to prep, record and edit together with the interview…so I’m thinking the yard may have to be pushed back again. Not even sure what I was thinking scheduling it during the summer. Honestly, it’s just never cool enough to go out, much less work out there! It starts getting hot in May, and by June it’s scorching for 4 straight months…June, July, August and September are a living hell here, weather-wise. The only way I make it through it is to stay inside, in air conditioning. Other states are stuck inside with cold in winter…we’re the reverse. And even though it’s cool now, the temp is already crawling up. In another hour, most likely, I’ll have to shut all the windows and crank up the ac. My summer schedule says today I had planned to do my backyard gate area, so I may be able to get out there this afternoon when it’s in shade, though. Right now it’s full sun so that’s reason enough for me to focus elsewhere this morning. The biggest thing about the yard right now is that I need to start getting it ready for my son’s July birthday party. The lawn needs to be brought back to life and I need to clear out all the areas we’ll be using. It’s not horrible right now, so I may be able to swing it the next 2 afternoons. My entire backyard is in shade in the afternoon.